Low savings rates, high inflation, rising costs of living, zero interest rates, and a volatile real estate market have turned the retirement dream into a nightmare and a hoax! Social Security, Medicare, Medicaid, pension funds, and even entire governments are facing the possibility of collapse, defaults, and bankruptcy. Achieving a well-balanced and productive retirement is all about creating a master plan now! 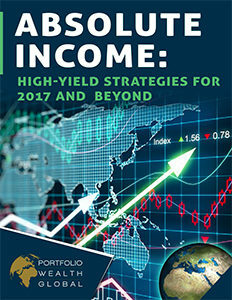 Learn precisely how to create safe, high-yield passive income streams and extra income flows for 2017 and beyond.